Home / Sew Along / Come play! 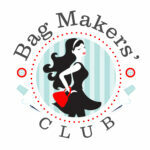 This month The Bag Maker’s Club is hosting a sew along for The Layla Bag – January 23rd-26th! Anyone can join in and we’d love to have you! Right now you can grab the pdf Layla pattern 20% off (use code: laylasewalong) or, even better, become a VIP member of The Bag Marker’s Club and get an even deeper discount! Each month 2 sew along take place with discounts on pattern and hardware – so it’s well worth doing if you are bag crazy! Visit the Layla Gallery for inspiration! Day 7! Stair Basket Sew Along! Stair Basket Sew Along starts tomorrow! Add a seat belt tassel to your Market Tote! How can I get the .pdf link? It depends on the design. If you go the “All Patterns” link in the “shop” area, you will see all the patterns. If the listing says “select option”, that particular pattern has a paper version available. Hope that helps!